The Rahway Valley Railroad's Summit Station. Collection of Donald Maxton. Engine #7 takes on water from the Summit Water Tower. This tank did not last that long as after the Lackawanna connection was made in 1931, RVRR steamers occasionally took water from the DL&W's tank. Photo taken by Warren Crater, courtesy of Donald Maxton. 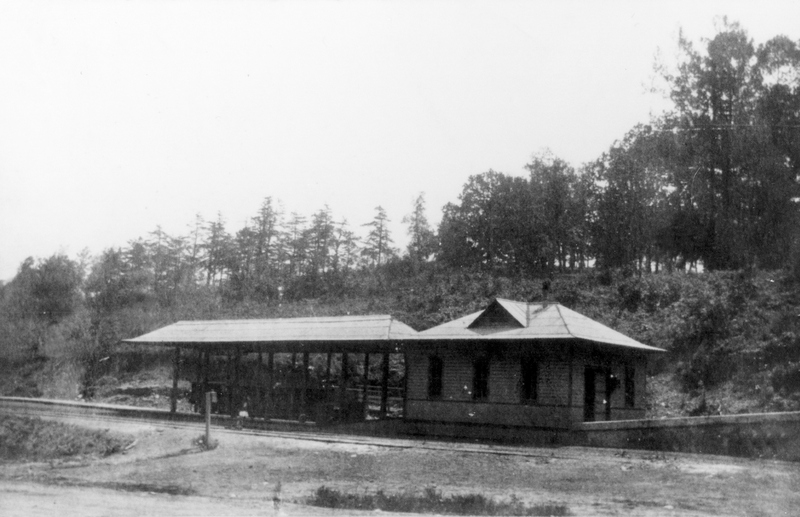 Station and freight house, wood, 18'8"x49"x10' high; wood foundation and some concrete piers; platform 15'5"x14'. Today the City of Summit is a bustling town with a just as busy train station. Here, passengers board and disembark trains bound to and from the Big Apple, making Summit a hub for people who live in New York City. This busy station, now occupied by New Jersey Transit, was once a stop along the line of the Delaware, Lackawanna, and Western's electrified Morris and Essex Division. When you refer to the "Summit Station," this is usually the station that people will immediately think of. However this building was not always the only Summit Station. Just across the street from the Lackawanna's station was the Rahway Valley Railroad's Summit Station (MP 7.10). 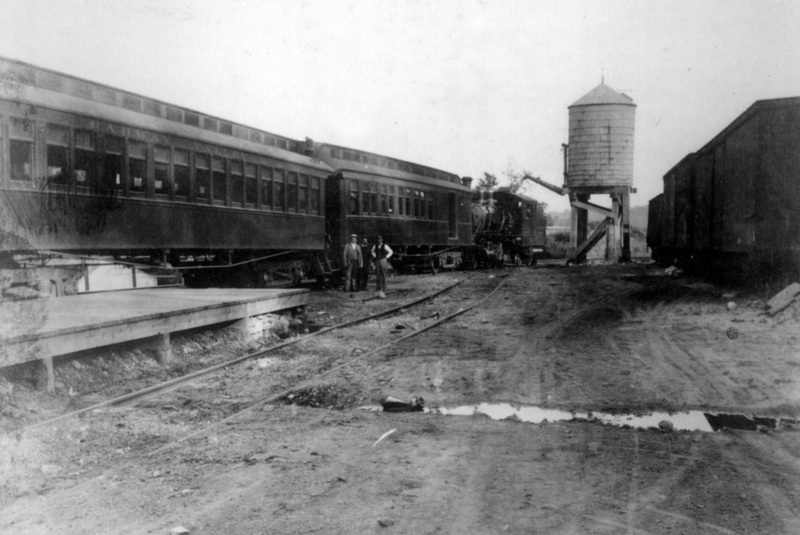 The Rahway Valley Railroad reached the borders of the City of Summit in the Fall of 1905. After some difficulties, the RVRR finally made it within several yards of the Delaware, Lackawanna, and Western Railroad's mainline. Contrary to the RVRR's plans, the Lackawanna denied the RVRR access to their tracks. Whether or not the RVRR had intentions of constructing their own Summit Station may be a matter of debate, but a lack of a direct connection to the Lackawanna's station made the need for one fairly obvious. 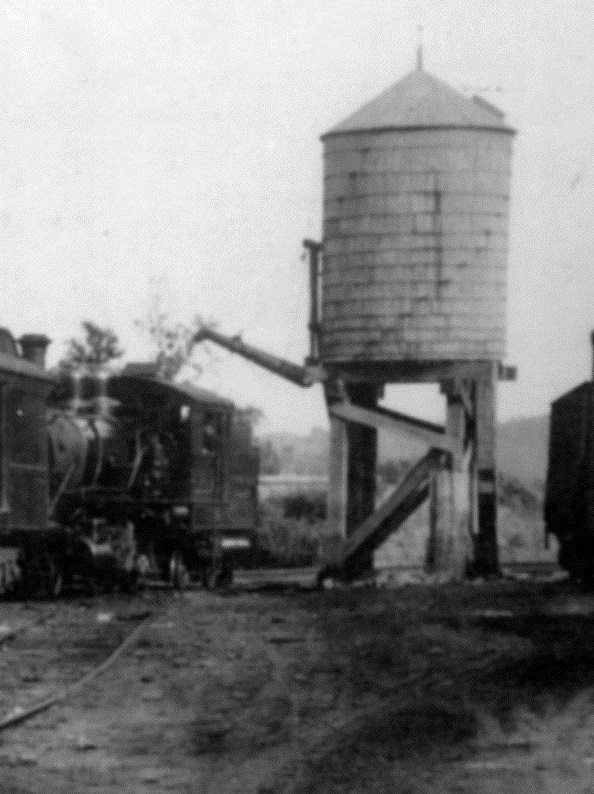 The Rahway Valley Railroad constructed their Summit Station at the base of Overlook Mountain on Park Avenue (now Broad Street), with the first regularly scheduled passenger train arriving there on August 6, 1906 (" Trains Start on Rahway Valley New Line ," New York Sun, August 6, 1906). In the passenger service era, if you boarded a Rahway Valley train at Summit, you would of purchased your ticket from Joseph Shallcross , the Summit Station Agent. Being the 'end of the line' for the RVRR, a small three track terminal yard was constructed here. A map from 1921 shows three stub tracks. Also located here was a water tower, built to quench the thirsty tanks of the Rahway Valley's steam locomotives which would have just battled the wretched grade up the mountain. After the end of passenger service the usefulness of the RVRR's Summit Station dwindled. The building was eventually razed, to make room for an apartment complex for nurses at Overlook Hospital. 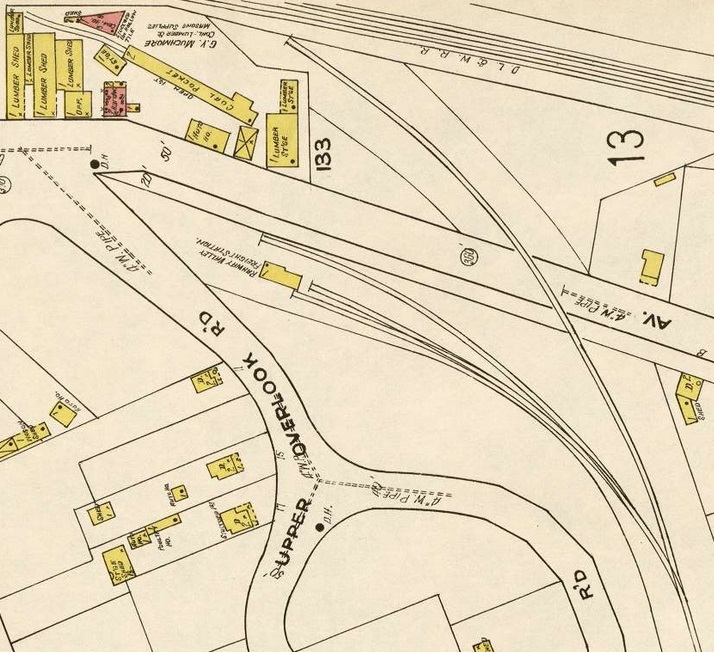 This 1921 Sanborn Map shows three stub sidings at the RVRR's Summit Staiton. The Rahway Valley Railroad's tracks cross Broad Street, but end before making a connection with the DL&W. #7, with a passenger train, is seen here at the Summit Station in this 1915 view. Collection of Warren Crater, courtesy of Donald Maxton.